We had breakfast for dinner again last night. BRINNER (that was for you, Tonya). Paired with a DELICIOUS cocktail. Blood Orange Soda and Vodka. You can purchase this bubbly delight at either Whole Foods or Trader Joe's. Highly refreshing. Highly enjoyable. Highly necessary on a Monday. Wait. Yesterday was Tuesday. Necessary on a Tuesday then. The color is awesome on this drink! I bet it tastes fab. YUM! Haven't tried their sodas.... Ari has made us cocktails with real blood oranges, which I think are still in season right now. They are beautiful and remind me of Dexter! Andrea - it is unacceptable that you don't have TJ's. I will sign a petition. Katy - I would like for Ari to make me one of those. Thanks. 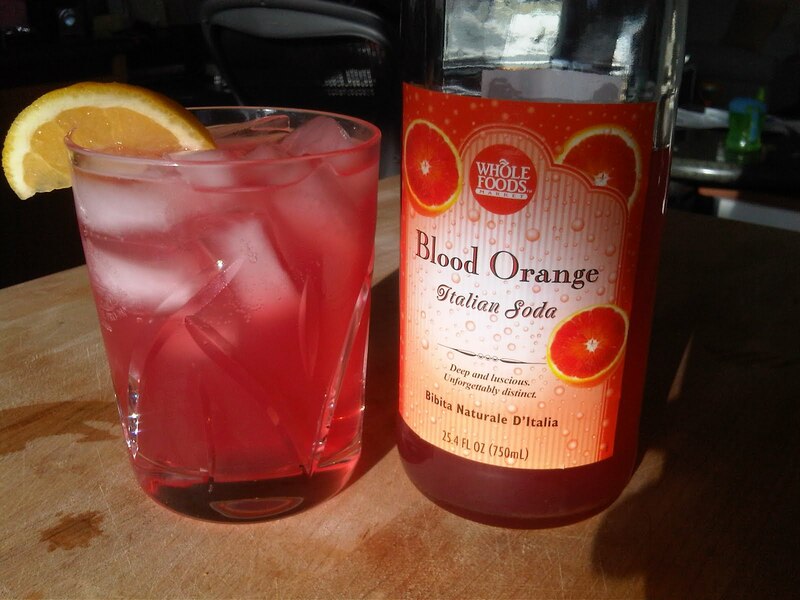 I gotta try this, when I visited my family in Italy, I say that so casually don't I, I had blood orange juice every morning! I miss this cocktail. I miss it. Missssss it.